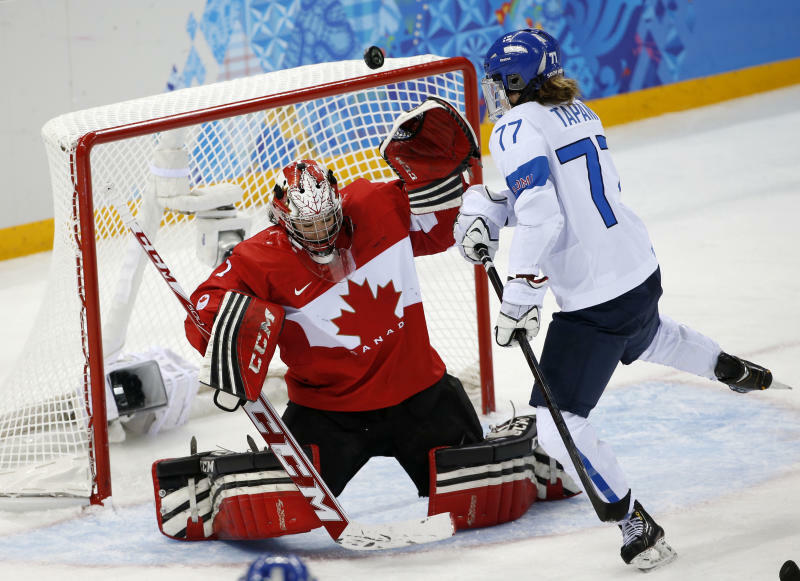 SOCHI, Russia (AP) — The United States plays Canada in Olympic women's hockey Wednesday with little but pride at stake. 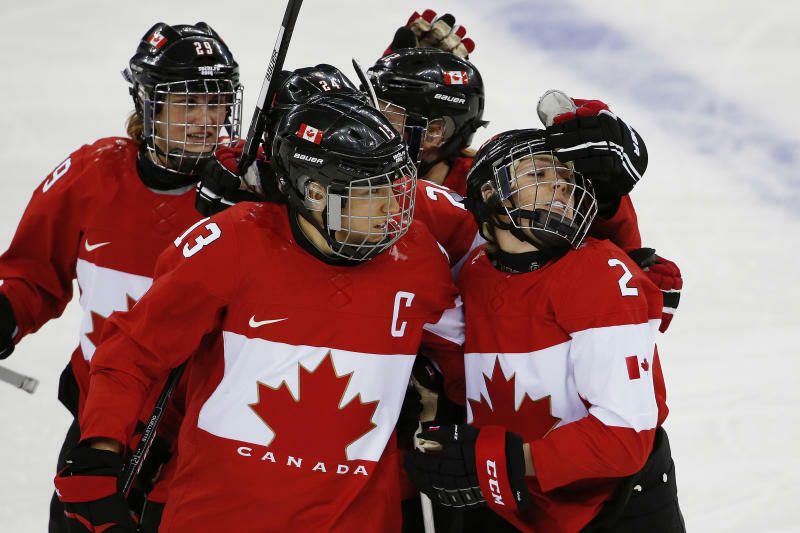 Four years after playing in Vancouver for the gold medal for the third time in four Olympics, the two North American women's hockey powers will meet in a round-robin game that has little impact on their chances to win it all. Both teams have a bye into the semifinals, where they will face opponents that haven't been able to beat them yet. Just don't try telling either team in the bitter rivalry that the game is meaningless. "The fact that we played them this year in an exhibition game — you saw how that ended," Canadian assistant coach Lisa Haley said, referring to the brawls that ended two of the teams' games on the "Road to Sochi" tour. "It doesn't matter if there's a gold medal awarded at the end of the game or not." 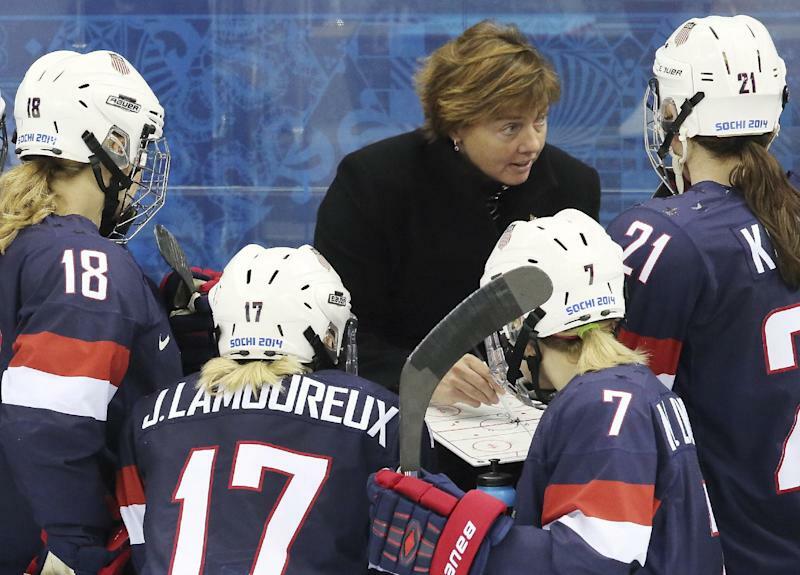 International women's hockey has always been dominated by Canada and the U.S. The teams have combined to win every world championship and Olympic title game ever. The gap separating them from the rest of the world is so wide, in fact, that the sport's international governing body tweaked its tournament format for Sochi to eliminate some of the blowouts that prompted then-IOC President Jacques Rogge to warn after Vancouver, "We cannot continue without improvement." In Sochi, the top four teams and bottom four teams were put in separate groups for the round-robin, which is why the North Americans won't have to wait until the final to meet. After each beating Finland and Switzerland in group play, Canada and the United States clinched a bye in the quarterfinals. Wednesday's game will determine nothing except who plays against the highest remaining seed, and who might have an easier semifinal opponent. Oh, and there's also this little rivalry. "It's going to be a bloodbath, obviously," U.S. forward Kendall Coyne said. U.S. coach Katey Stone said goalie Jesse Vetter, who won the opener against Finland, will start against Canada, returning to the net against the team that beat her in the 2010 gold medal game. That was Canada's third straight Olympic gold medal after the Americans won the inaugural Olympic title in Nagano. But the United States is the defending world champion, and it won the last three tuneups on the exhibition tour. None of those games was lacking intensity, and the teams promise that this one won't, either. "Whoever buys seats to our match here is going to be extremely happy with the result," U.S. forward Hilary Knight said. "We're two great teams dueling it out on a world stage. It doesn't get much better than that."